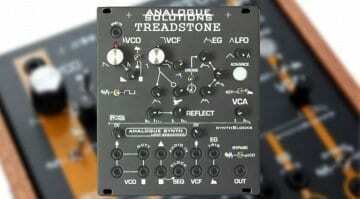 The next Synthblock off the Analogue Solutions’ production line is the Treadstone analogue synthesizer. 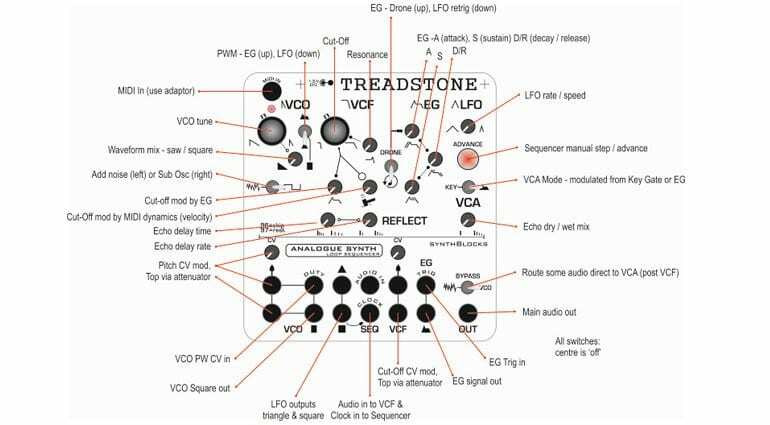 Same bulletproof exterior as the Mr Hyde and Dr Strangelove, but this one’s a semi-modular synth with a loop sequencer and some clever MIDI stuff going on. Is this what Jason Bourne really found in that Swiss bank lock-up box? Who knows, but there’s nothing secret about this little box of noise, it’s all there on the front panel. 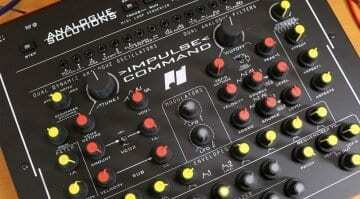 It has a discrete analogue VCO with saw and square waveforms and an Analogue SSM style 24dB filter. 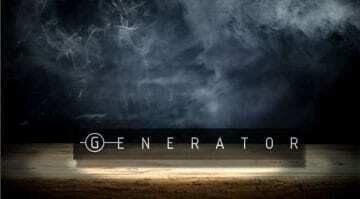 On the modulation side there’s an envelope generator and an LFO. It’s got pulse width modulation, noise and a sub oscillator. Rounding it off is a low-fi digital echo. In the matrix of patch sockets you’ll find CV control over pitch, PW, cut-off and envelope triggering. On the outputs you have VCO out, LFO outputs and envelope out. There’s also an audio input and a clock input. Many of the knobs are those little fiddly ones, leaving just the tuning knob and filter cut-off on proper sized knobs, but I guess that’s a feature of the form factor. 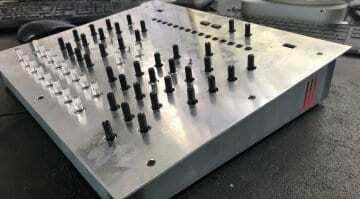 Can’t say much about the sequencer or the MIDI side as yet. There’s a MIDI input socket at the top via an adapter. The website says it has a MIDI loop sequencer and there’s a “Sequencer manual step/advance” button but no other information. It also says it’s a “MIDI converter” so presumably your MIDI input could be used to run other CV gear. It looks great and the other two Synthblocks have been excellent, so we can expect this to follow Analogue Solutions’ knack for fabulous pieces of gear. Should be available in the new year and there’s no pricing yet. The other two were £255, if that’s any indication.